December 5 is a day in San Diego Padres’ history where the franchise pulled off three separate deals over the years. The team acquired Joe Carter, Lamar Hoyt, and Sterling Hitchcock on this date in history, and each was a big acquisition. It is rare that three significant trades happen for a major league franchise on the same date, but December 6th goes down in San Diego Padres history for just that reason. A total of 13 players exchanged hands on this date as the Padres attempted to improve their team on three different occasions. The Padres made these trades in 1985, 1989, and 1996, respectively, but each was significant in shaping the team’s history. “Trader” Jack McKeon was responsible for two of the trades, and Kevin Towers pulled off the last deal, which proved to be one of his best trades as general manager of the team. The Padres have had decent luck when it comes to trades, and each of these following transactions benefited the Padres to a certain degree. The San Diego Padres acquire pitchers LaMarr Hoyt, Todd Simmons, and Kevin Kristan from the Chicago White Sox for shortstop Ozzie Guillen, pitcher Tim Lollar, Bill Long, and third baseman Luis Salazar. After losing the 1984 World Series to the Detroit Tigers, the Padres had a need at starting pitcher and were in the market looking for a front-end starter. Hoyt was the American League Cy Young award winner in 1983 but had slumped in 1984 to a 13-18 record. The Padres gave away a young, prized shortstop named Ozzie Guillen. He was blocked at the position by Garry Templeton, so the Padres deemed him expendable. Lollar was a valuable part of the ’84 Padres run, but Hoyt was an upgrade in the rotation that they desperately needed. 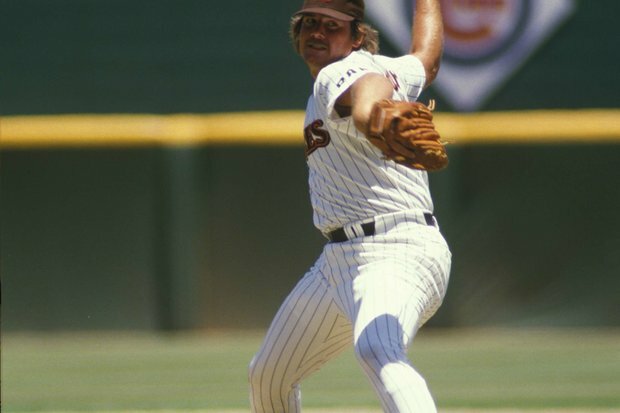 Hoyt rewarded the Padres, going 16-8 with a 3.47 ERA and a 1.097 WHIP in 1985. After the season, he was arrested twice, in January and February of 1986, and went into rehab for drug abuse. That forced him to miss most of spring training and resulted in an 8-11 record with a 5.15 ERA and a 1.497 WHIP for the 1986 season. After that season, he was arrested once again and sentenced to 45 days in jail. Hoyt never pitched in the major leagues again. He was a huge mistake for the franchise and it really was a shame he never could get his life together. The San Diego Padres had a very nice problem in the late ’80s. They had Benito Santiago, who was a flashy, young catcher with a tremendous arm and an equally dangerous bat. Santiago was still very young at the time, and the team’s #1 prospect happened to be a catcher as well. Sandy Alomar Jr. was considered a can’t-miss catching prospect, who had a very similar skill set to Santiago. The Padres had a huge decision to make. Should they deal the young, unproven phenom or deal Santiago? They chose to move Alomar, as they packaged him with two other young prospects for a proven veteran outfielder. Joe Carter was coming off a season where he played in all 162 games for the Indians and hit 35 homers with 105 RBIs. Carter responded in 1990 by hitting .232 with the Padres in 162 games. He hit 24 home runs and drove in 115 runs that season. He was traded 364 days after being acquired by the Padres. Carter was packaged with Roberto Alomar for Fred McGriff and Tony Fernandez on December 5th, 1990 in a trade that still hurts most Padres fans. Roberto Alomar would go on to have a Hall of Fame career. 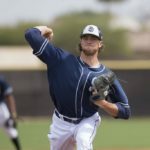 The San Diego Padres acquire pitcher Sterling Hitchcock from the Seattle Mariners for Scott Sanders. 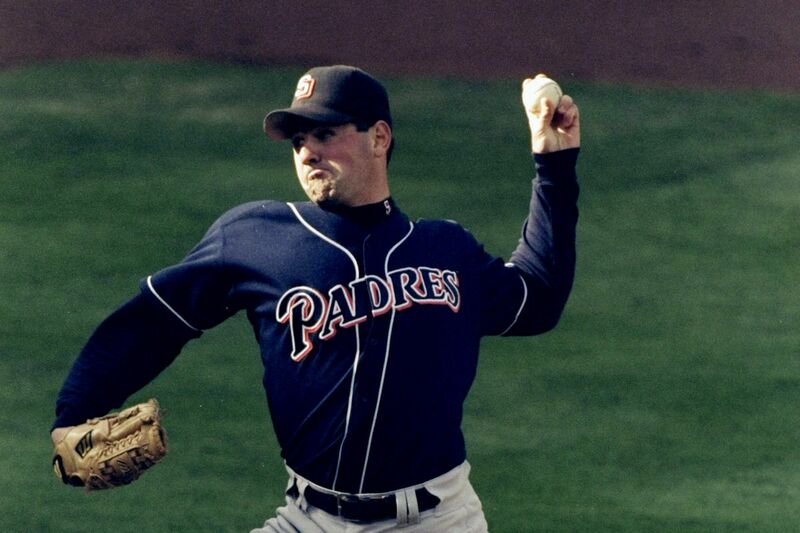 The Padres were looking for left-handed starting pitchers to start the 1996 season. They and the Seattle Mariners came to an agreement on a deal that would send Scott Sanders to the Mariners for lefty Sterling Hitchcock. Little did Padres fans know, but this acquisition would be huge for the Padres in a couple of years as the team went for a World Series title. Ironically, the team re-acquired Scott Sanders in May of 1998, and he too was an important part of the World Series run that year. Talk about a great deal for Kevin Towers. Hitchcock had a career record of 34-42 with a 4.47 ERA as a Padres pitcher. He won the 1998 NLCS MVP award when he was dominating in the series against the Atlanta Braves that propelled the Padres into the World Series. For a stretch in late 1998 and early 1999, Hitchcock was flat dominating. He regressed due to injuries and never really had the same success as he did in that 1998 Padres postseason run. Still, the trade was a great one for the Padres simply because of the production they got from the lefty.